If you want to keep your precious data from prying eyes, there are plenty of ways to go about it. You can password your files, you can get a USB stick that supports encryption or has a fingerprint reader, or you can do things the old fashioned way and lock them with a padlock. Unfortunately, being just three digits long, it wouldn’t take too much persistence to brute force the thing, but it is a deterrent and it is available in a choice of three colors. On-screen keyboard navigation allows you to easily move up and down by octaves or “part octaves” (ie. left-most key is a C or an F). Get all the exciting features you want from a multimedia player in one tiny, sleek package with the 4 GB Zen Multimedia Player from Creative. This media player is smaller than your average credit card and lets you carry songs, photos and watch videos on the go. Flaunt your independent sense of style with its tiny size and eye-catching design that will be the envy of your friends. Everything you need right at your fingertips - carry your treasured music collection, funny video clips, and family photo slideshows wherever you go. 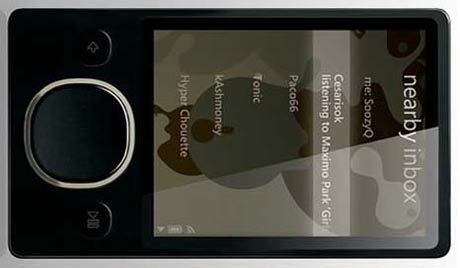 It is packed with all the great features you desire with a capacity of up to 1000 songs. Pull out your CD collection and rip your albums. Log on to the Internet and browse different music services for the songs you want. It features a 2.5" TFT display that lets you watch your favorite video clips of friends, vacations or cool skateboarding stunts.. Yesterday at Macworld, in his keynote, Steve Jobs announced a number of items, but this is what companies like Netflix were expecting - and fearing: iTunes Video Rentals. According to Jobs, they have every studio (he listed Touchstone, Miramax, MGM, New Line, Lion’s Gate, Fox, Warner Bros., Disney, Paramount, Universal and Sony). The U.S. launched on the 15th, with international coming later. Details: Movies will be available 30 days after the DVD release. You can watch them anywhere: Macs, PCs (that's right PCs), iPods and iPhones. Video is streaming, with 30 days after rental to start watching it, and 24 hours to view it after you start. Nicely, you can watch the first half on your computer, transfer the movie to your iPod, then watch the rest of the movie on the move (but must be completed within 24 hours). Cost: $2.99 for older titles, $3.99 for new titles. Want HD? $1 more. Gizmodo has summarized the first 6 reviews of the new 80GB Zune model, and it looks like it’s a clear pick (well, kind of anyway) versus the iPod classic. Competition is good for everyone so I’m happy that someone is standing up for a fight. B & H Foto & Electronics has the SanDisk Sansa c150 2GB MP3 Player for the Bottom Low Price of $44.95 plus shipping. Introducing the Sansa c100 Series MP3 players. Created by the leaders in flash memory, this flash-based player provides everything you need to play music in vibrant color! 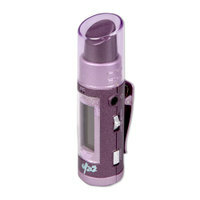 This affordable, compact color-screen MP3 player has an amazingly easy-to-use interface. It supports Microsoft PlaysForSure subscription music and is available in 1GB and 2GB capacities. Extra features include the digital FM tuner with 20 preset stations, FM on-the-fly recording, voice recording, and photo thumbnail playback..
Oakley has just announced a new set of MP3 sunglasses, the Split Thump and they actually look great. The Split Thump sunglasses offer compatibility with MP3, WMA and AAC files with up to 7 hours of battery life. They come in storage size ranging from 512MB up to 2GB and retail for $250-$400. You'll always be runway glamorous with this hot BRATZ lipstick-shaped MP3 player decked out in style from the girls with a passion for fashion. It comes with a mouthful of features, like a multifunction LCD display and matching earbuds. Put it on with the matching neck strap or the belt clip attachment, then step out with your best runway walk! Retailing for $59.97 at WalMart this would make a great gift for kids (or adults with a sense of humor) for the holidays that are just around the corner. Planning to purchase an iPod but cannot decide among the various iPod models like Shuffle, Nano, Classic or the new iPod Touch? The following iPod Buying guide compares all the new iPod models to help you pick the best iPod for your needs. The very impressive Apple iPod lineup has dominated the digital music player market ever since the first iPod hit the streets in 2001. And that lead continues as Apple keeps on adding more impressive features and storage space to their iPod models while maintaining the thin and sleek look. 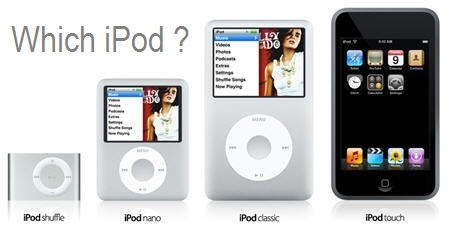 If you are planning to purchase a new iPod, you have at least four options to choose from – the inexpensive but screenless iPod shuffle, the new iPod Nano that also plays video, the iPod Classic that offers huge storage space or the latest iPod touch which is like the iPhone minus the phone and camera. Music and video fans never had it so good but obviously, more choices can sometimes lead to confusion.
. The iPod shuffle is ideal when you want to gift someone an iPod but do not have a big budget. The shuffle is small and wearable so you can easily clip it to your sleeve or the coin pocket of your trousers - a perfect choice for joggers or people who frequent the gym. With 1GB of storage, iPod shuffle weighs just around 15g.
. The new iPod Nano, one of the best sellers, can now play video on their 2” colored screen in addition to photo slideshows and music. With the recent update, Nano models have become slightly shorter and wider. The Cover Flow feature lets you flip through your music album covers visually through the Click Wheel. Nano is available in 4GB and 8GB models and weighs around 50g. Next in line is the iPod Classic for power iPod users who own a big collection of music and video.
. iPod Classic is much like the iPod Nano except for the storage size – Classic comes in 80GB and 160GB variants enough to store even your full length high resolution DVD movies. The screen size is slightly bigger at 2.5” but they weigh around 150g which is like 3x that of a Nano.
. What could become the object of everyone’s envy is the new and very gorgeous iPod Touch. With a large 3.5” display and touch screen QWERTY keyboard, this is the most innovative iPod ever. The inbuilt Wi-Fi and Safari Browser in iPod Touch lets you surf the web in any hotspot.